U.S. House Speaker John Boehner on Thursday expressed doubts Congress would agree by the end of this month on an emergency response to the crisis involving an influx of thousands of child migrants at the U.S. southern border. President Barack Obama, a Democrat, has requested $3.7 billion in emergency funds to bolster border security and speed up deportations. But the Republican speaker said Democratic lawmakers’ resistance to changing a 2008 law that combats human trafficking was making Obama’s funding request “much more difficult to deal with” and darkened the outlook for bipartisan agreement before the start of a five-week recess on Aug. 1. While Boehner placed the blame on Democrats, it was not yet clear whether enough of his own Republicans would be willing to vote for the extra money. 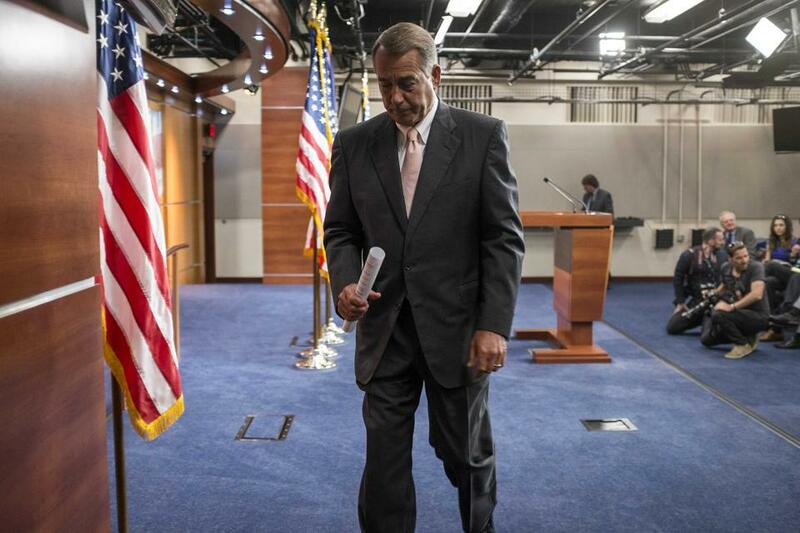 “I would certainly hope so but I don’t have as much optimism as I’d like to have,” Boehner said at a news briefing. The Obama administration has warned Congress that U.S. Immigration and Customs Enforcement would run out of money by mid-August and that U.S. Customs and Border Protection funds would be depleted by mid-September. The Department of Health and Human Services also was rapidly running out of money to house the children temporarily while they await their hearings, officials said. Many Republicans want to use Obama’s emergency funding request to change the 2008 human trafficking law, which gives some immigrant children more protections from deportation. They, and Obama, think that the law might be encouraging Central American children to flock to the United States illegally. The law gave added protections for children arriving from countries that do not border the United States, including those from El Salvador, Honduras and Guatemala, the three countries where the bulk of the new arrivals are coming from. Many congressional Democrats oppose changing the law, despite some Obama administration officials saying they would be open to it. House Democratic Leader Nancy Pelosi said on Thursday that she did not think a change in the 2008 law was needed. House Republicans said on Tuesday that they were working to pare Obama’s request to fund the most immediate needs. A leading Senate conservative, Ted Cruz, said on Thursday he would introduce legislation to prohibit Obama from granting amnesty to people who are in the country illegally, as he said Obama did in 2012 when he eased deportations of some children brought to the United States illegally by their parents. Cruz’s bill, unlikely to pass the Democratic-run Senate, reflects conservative Republican thinking that Obama is to blame for the influx of child immigrants because he did not enforce deportation law against those already here.. The issue is resonating with Americans, with polls this week showing them increasingly concerned about how to deal with the children. A Pew Research survey on Wednesday showed about half the public supports a U.S. policy shift to speed up the processing of children, even if it includes deportation. Copyright © 2014 Thomson Reuters. All rights reserved. The headline should read “Boehner unsure he can get a vote on immigration that doesn’t hurt him politically”. John Boehner does have the power to put the Senate pass bill up for a vote. He has chosen not to.